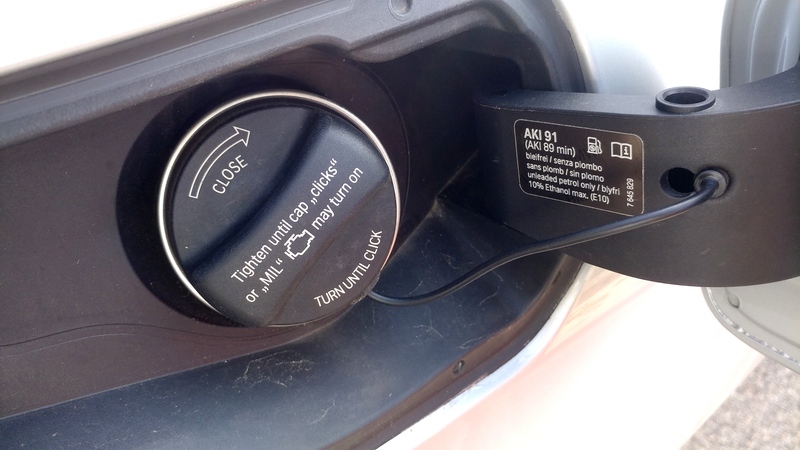 JUST FILLED UP YOUR 3-SERIES AND THE GAS FILLER DOOR WON’T CLOSE FULLY? We’ve been receiving calls and emails from late model BMW 3 series (320i, 328i, 335i, 340i, 328d, M3, etc) owners who suddenly cannot close the fuel filler assess door after a fuel stop. 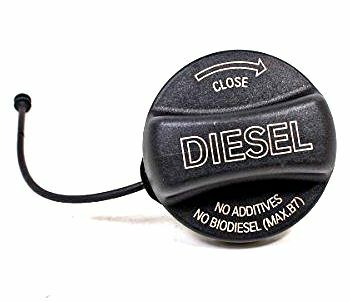 In most (if not all) cases, we have found that the fuel cap tether cord (the rubberized cord affixed to the fuel cap) is caught is the hinge for the door or stretched over the filler cap. The cure is to reposition the tether to a different orientation around the cap. 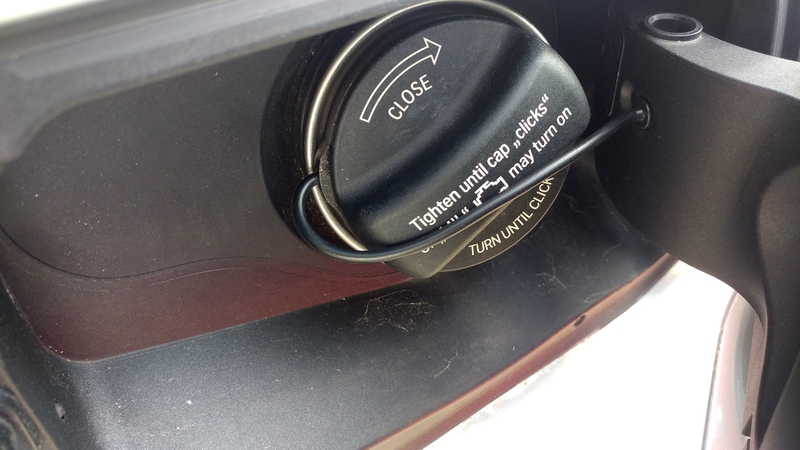 You can simply rotate the ring that secures the tether cord to the base of the cap, to a position that allows the cord to fold into the recess and the door to close. 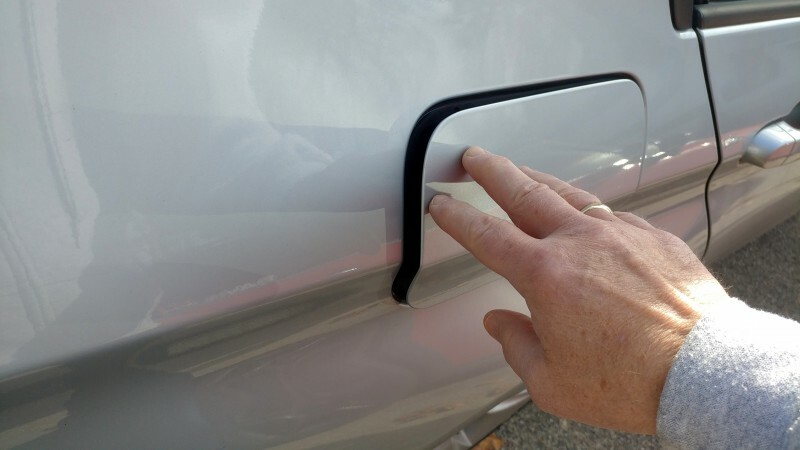 If the tether cord is damaged or broken, BAVauto can offer a new replacement cap with the tether.